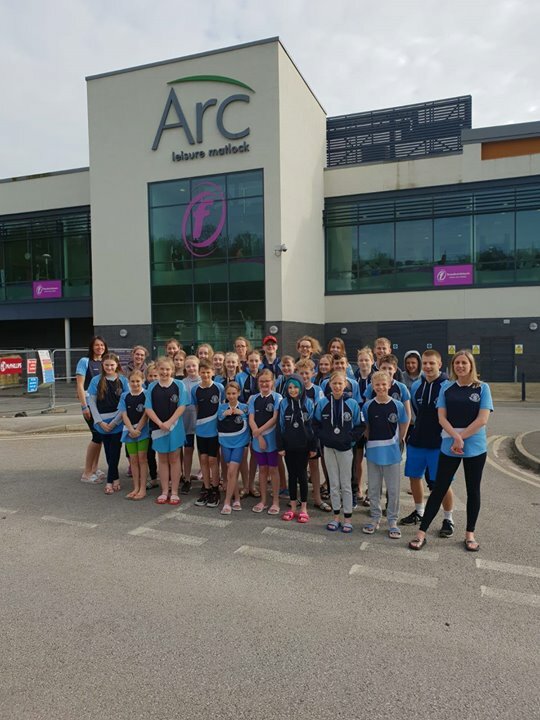 Ilkeston Swimming Club won an impressive 94 medals, across all age groups, at the Chesterfield A and B Grade Open Meet at the ARC Leisure Centre in Matlock on 6th and 7th April. The total medal count included 31 Gold, 34 Silver and 29 Bronze. The Club also achieved another 80% personal best rate. Joshua Bestwick – Silver in 50 and 100 back, 50 and 100 free, 100 fly, Bronze in 50 fly and 200 back. Fred Buckingham – Gold in 50 free and Silver in 50 fly. Finley O’Neill – Bronze in 50 breast, 100 fly and 50 back. Louie Stadler – Bronze in 100 free. Emmi Charlesworth – Silver in 200IM and 200 free. McKinley Cotton – Gold in 50 and 100 fly, Silver in 50 and 100 free. Erin Pickard – Gold in 400 free and 50 breast(B), Silver in 50 back and 100 free, Bronze in 200 free and 200 back. Erica Beharall – Silver in 200 free, Bronze in 100 free. Ryan Kirk – Gold in 100 free, Silver in 200 free and 50 back(B), Bronze in 50 free. George Buckingham – Gold in 50 fly(B) and 50 back, Silver in 50 free(B) and 100 back. Oliver Macey – Gold in 200 free(B), Silver in 50 and 200 breast, 50 fly(B) and 50 free(B), Bronze in 100 breast. Arwen Moore – Bronze in 50 free and 100 back(B). Delainey Cotton – Gold in 50 back and 50 free, Silver in 50 breast(A), Bronze in 50fly. Erin Miller – Gold in 200 free, Silver in 100 free, Bronze in 400 free(A). Leo Charlesworth – Gold in 50 back, Silver in 200IM, Bronze in 100 free(A). Holly Dobbs – Silver in 200 breast, Bronze in 100 breast, 200 free, 200IM and 50 back. Alicia Bull – Gold in 200IM. Hannah Cope – Gold in 200 fly, Bronze in 400 free. Sophia Bull – Gold in 100 free and 50 fly, Silver in 200 breast. Ella Sloan – Silver in 50 free, Bronze in 50 breast. Sophie Stone – Silver in 400 free. Annie Poyner – Silver in 200IM. Joni Moore – Bronze in 200 breast. Freya Miller – Bronze in 100 breast and 50 free. Elliot Bestwick – Gold in 50, 200 and 400 free, 50,100 and 200 back, 50 and 100 fly, 50 breast, Silver in 100 free. Ollie Palmer – Silver in 200IM, 50 back, Bronze in 100 and 200 free. Maximus Bull – Gold in 100 breast, 100 free, 200 free, Silver in 200 and 50 breast, Bronze in 200IM. Steven Cope – Gold in 200 fly, 100 and 400 free, Bronze in 50 fly. Well done to Maisie Dorrington, Felicity Dobbs, Mackenzi Wood, Emily Stone and Reece Tait for some great swims/pbs. Also, Arwen Moore for achieving her first Regional qualifying times in 50 free and 50 fly and Erica Beharall for adding to her Regional times with 100 free. There were so many swimmers less than one second short of a Regional time across many events, demonstrating amazing progress in the last 6 months of hard training and doing Ilkeston Swimming Club proud. There was a massive improvement on starts and back-end speed with 100% commitment that was a pleasure to watch. There was great support between the swimmers and from parents/supporters in every race, professional behaviour in and around the pool area and also poolside support to swimmers from other clubs which is always nice to see. A massive well done to all who took part and thank you to Head Coach; Richard Tomlinson, Assistant Coach; Dan Sloan, Team Managers; Claire Cotton, Victoria Bull, Kay Charlesworth and Emma Miller. Also, thank you to those parents who took on official roles in running the Open Meet and those who came along to support. With the Club having 11 Regional qualifiers and 1 National qualifier, the main focus for training at Victoria Park Leisure Centre will now be the Regional (Midlands) Championships at the end of April and early May.